My Creative Time: Five Days of Christmas Day 5! Today, I made 3 EASY projects for you! 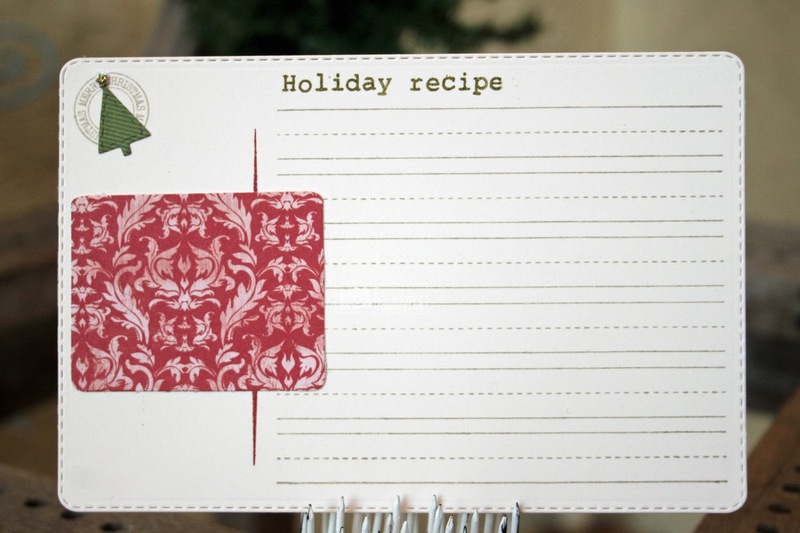 The first is a treat using our NEW "Squared Stitched Goody Die"! Doesn't it look SOOO PRETTY w/the stitched outline around the candy? This is my FAVORITE EVER!!! Next up, I could NOT WAIT to use our new "Square Stitched Goody Die" to make a card too! I mixed it up w/my new "4x4 Journal Die" & I just LOVE LOVE LOVE how it came out! 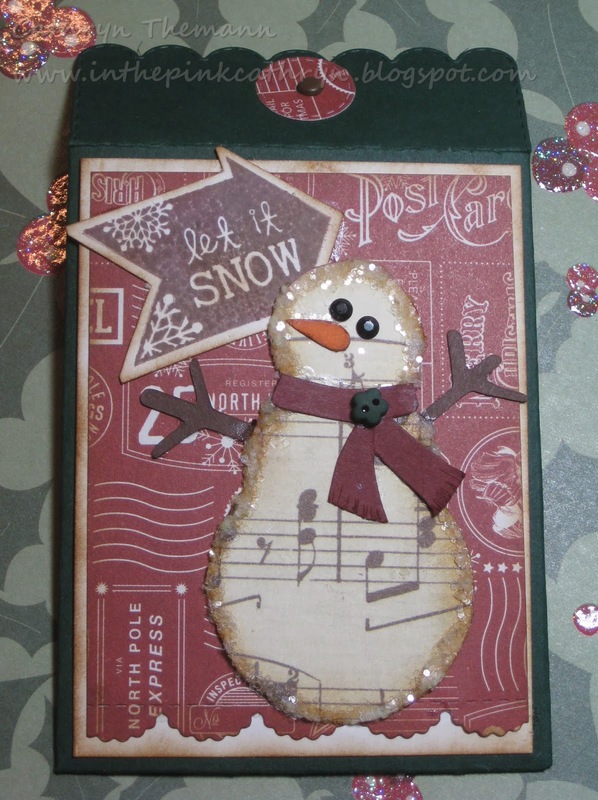 I added those AWESOME star dies along w/the cutie patootie snowman! ;) As you can see, I created a window w/the square die, & the image is stamped onto the inside of the card! For my last project, OF COURSE, I made a tag! 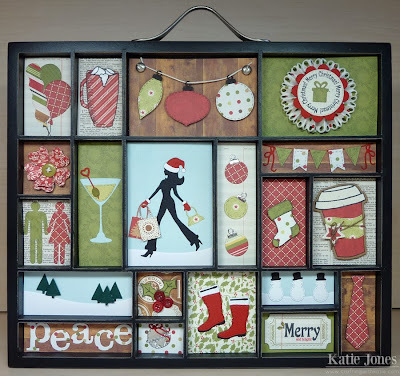 lol.... For this one, I used the arrow die that came in the "4x4 Journal & More" to make my house in the frame that is ALSO from that 4x4 Journal Die & MORE"! ;) All the paper I used today is from Teresa Collins. I HAVE 3 GIVEAWAYS TODAY! You can see them below! Don't forget to leave your comments on each of our blogs and a way for us to contact you should "YOU" be our lucky winner! :) Winners will be announced on my blog next Tues OR Wed! GOOD LUCK! Love the treat box, I love the paper you used for you used, super cute. My daughter and I made some for her teacher's not that long ago and they loved them. Definitely will be making some for Christmas to give away. TFS! CONGRATS Miss Kat ! 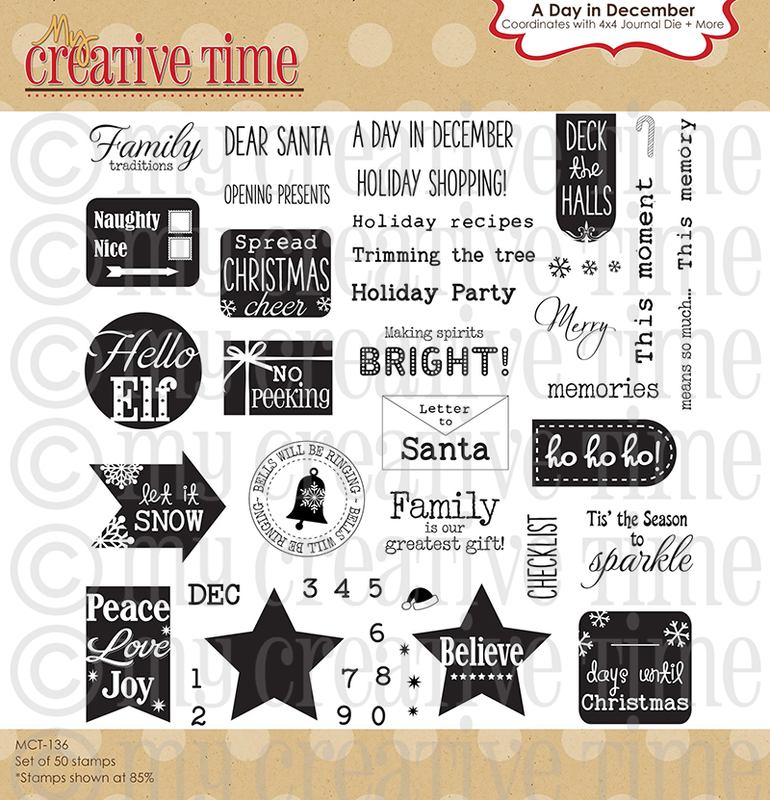 Please email me your address to info@my-creative-time.com so I can get your prize out to you ASAP! OMG Miss Emma your projects for today are so awesome and I have to say I was so taken back when I saw that you used your arrow die and made it a house OMG I am in love with your idea. I so love too just everything and I have to say you outdid yourself today gosh so excited about all the ways you used your new goodies and can't wait to get my order. I have so loved your 5 days of Christmas it's been fun and inspiring. YOU ROCK!!!! 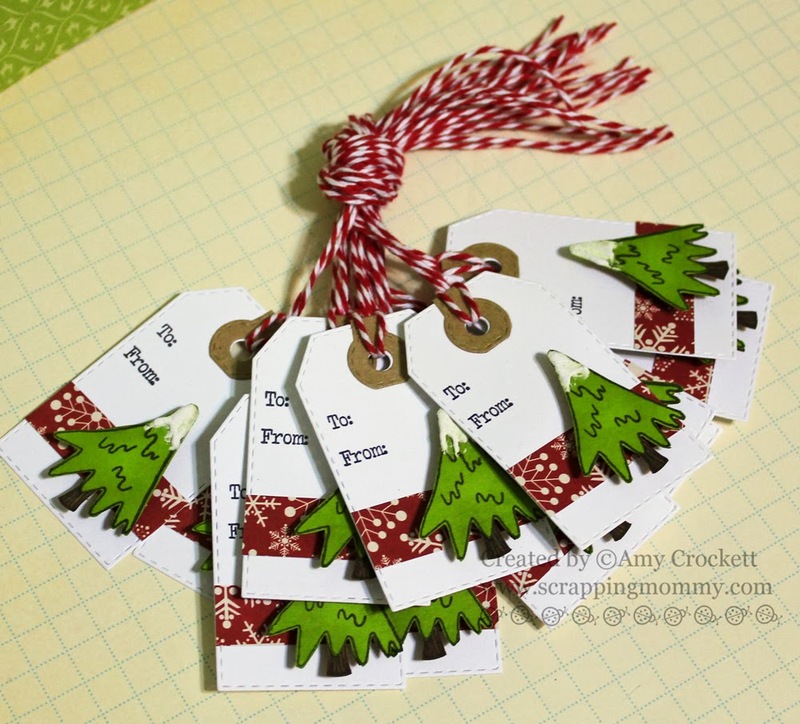 Love al the cute projects today! Wow, wow, wow! You and the DT saved the BEST for last. Amazing, amazing projects. WOWZERS!!! What a way to end an awesome week of inspiration!! You and your DT really knocked out some AWESOME projects and LOVE how everyone's projects are so different! Thanks for sharing not only 1 but 3 new gorgeous pieces! You showcase everything perfectly! I am VERY excited to get the new release in the mail and can not wait to play with them! Hugs my friend and have a GREAT Friday and weekend!! Sorry to see this weeks inspiration end! Thanks so much! Awsome projects! I have had a blast following along this week, and have seen many great projects I can't wait to try. You and your team rock! Wow...awesome projects. Loved this past week!!! Emma, I just love how you used all of the new dies!!! Using the arrow die for a house was brilliant! Can't wait for mine to arrive today!!! Wonderful projects...its been a great week of inspiration! WOW these projects get better every day. Love all the cute ideas. Fantastic job ladies. Thanks Emma and your Design Team for sharing your creations and talents. Great job team, all the ideas are so inspiring. Emma the "Square Stitched Goody Die" is such a good idea. After all who can pass up a chocolate nugget? Good morning Miss Emma! You have been very busy this week! 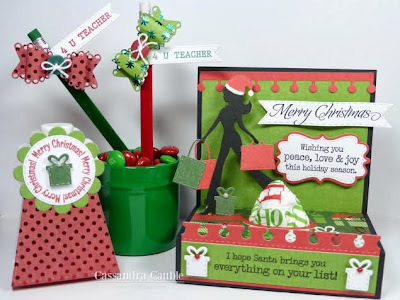 I have enjoyed all the tags, cards, treat ideas, boxes, ideas that the design team and you have shared! Who would have thought to turn that arrow into a house? Adorable!!!! Great projects from everyone! Definitely inspired, hope to get some projects done this weekend. I love all your projects today and all week Emma. You and your DT have really knocked the ball out of the park! Can't wait to get my goodies to play and LOVE how you turned the arrow into a house! Have a great weekend. What FABULOUS projects!!! :) Your products are REALLY the best on the market!!!!!!! They coordinate so well together and are so versatile...not to mention your signature stitching! How clever to use the arrow for your house! Soooo impressed as always! Thank you so much for sharing...and a week of so much fun! Love the projects! Very good ideas from you ladies! LOVE ALL OF THE PROJECTS! YOU GO LADIES!!! Beautiful projects Emma. I love how you used the arrow die for the house, that was so clever. This week has been so much fun for me seeing all the great projects. You are all so talented! Just lovely Emma! Your projects are amazing as always! I really enjoyed all the projects this week! Very cute projects--I like how you turned the arrow into a house. How absolutely adorable all three of your projects are!! I know you must be very tired from this week..but so glad we got to see so many fun and wonderful projects!! Oh, these are beautiful. So creative with the scenes too with the stiched window and that arrow as a house. How clever. I love all of your projects! I really have enjoyed seeing all the creations that you and the design team have created these past 5 days:) Thank you for hosting this wonderful event.Can't wait to see the how-to video later on. These projects are awesome!!! I LOVE LOVE the tag. It looks like 3D. Thanks for sharing. Oh my goodness, look at that!! 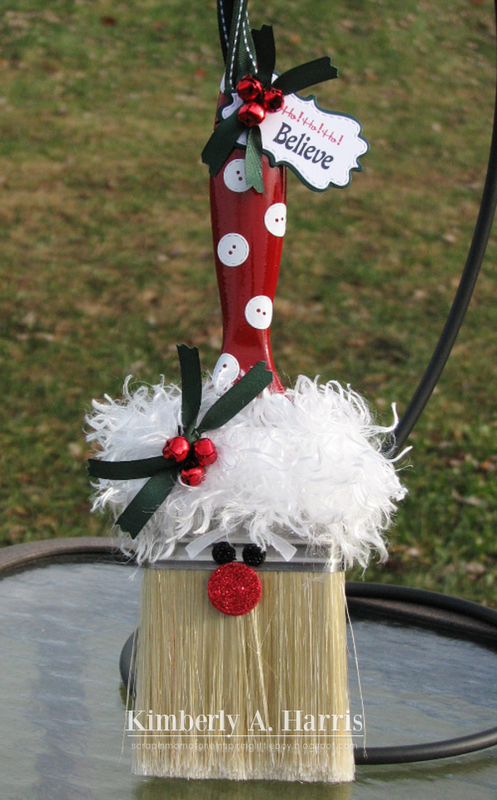 Now I just fell in love :) such a cute idea for a treat and ornament! 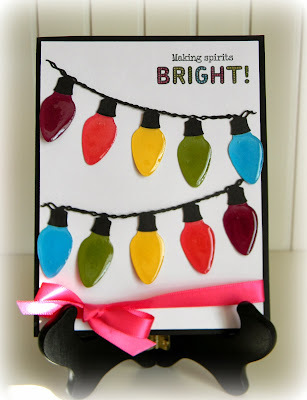 Your card are so pretty and creative!!! All gorgeous!! DT, you girls are so awesome!! I just love stopping by for some happy time!! I leave full of inspiration!!! Today's projects are, again, nothing short of amazing! What a delicious spread of inspiration this week has been, Emma! I've come away each day with new ideas, but even more, with a spirit of joy! so many of the DT examples are gifts destined for oh-so- fortunate recipients. The spirit of giving and sharing is abundantly present on your site and on your team's. LOVE my visits here!! I like all your 5th day projects but the peekaboo snowman is my favorite. Love all the new stamps and dies. Hope I win some because I really can't afford to buy them right now. 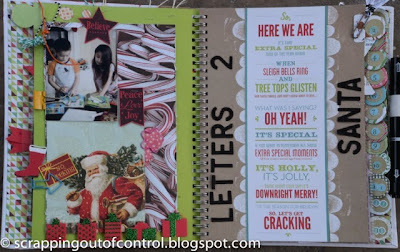 Gorgeous projects Emma, I just love all of your fun creations! The DT projects are absolutely stunning! 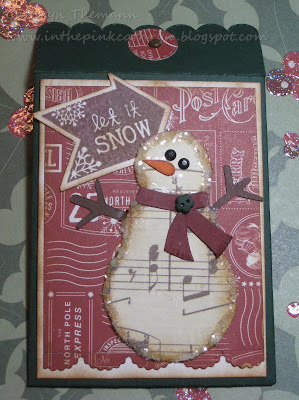 Love the use of the new die as a window for snowman, super cute. Love all the projects this week. Using the arrow for a house was a great idea. I can see a card made using the die as a bird house. You and the DT do such a great job. Thank you for a chance to win. Love every single project!!! Emma you did a Beautiful job on the Treat holder but a FABULOUS job on the Tag!!! Your tags are ALWAYS, ALWAYS beautiful!!! It had to end with a TAG!!! Love it!! I enjoyed and loved all of your projects for the 5 days of Christmas! So much inspiration on your blog! It is so great how you keep up the good work and never let us down when you are so busy! Hi Emma! I have had the best time all week! Thanks for a great week and such fun projects! I know my stamps and dies will be here any day now! First of all Emma, thank you for all the inspiration and your generosity! I have enjoyed this week's blog hops so much...today's projects are fabulous and show the versatility of your product line. have a wonderful day and a restful weekend! Love, love, love all your projects today, Miss Emma. I was looking forward to seeing your treat with that window for the nugget after you talked about it in your previous video. That 4 x 4 card with the little snowman peeking out the window is too adorable. But, I must say, my favorite is the little house you created with the arrow die from the new 4 x 4 journal set. What an amazing idea. Thanks for all the work you put into this week of projects. I enjoyed it so much and have so many ideas in my head after seeing the whole DT projects. Such an amazing group of talented gals. everytime you put a project on here, I wannnnna buy everything! need to get a part time job as well as my full time job just to buy all of your dies! love them allllllll! have a super duper scrappy day!! I'm still kicking myself for not grabbing your Black Friday release! I so love all your projects and wish I had a smidgen of your talent! Emma, your releases never seem to disappoint and this one is no different. You Go Girl! I Love, Love, Love...Your showcase of projects during this week has been Awesome as well as the DT. Oh, Emma! I am blown away by all the projects this week as usual. I haven't been able to play along because I've been spending time with my hubs taking care of his new hip. I just had to come and tell you how wonderful your new dies are and that someday these, too will be mine! ;) That little candy ornament is just perfect! :) DT, you are amazingly talented and I am powerless against your inspiration! Great projects from you and your DT. Lovely projects!! Thanks for the inspiration all week. Loving all the projects especially the tag...so sad the week is over! The candy window is wonderful...I have to get those candies and give this a try...very clever! Another great idea to put a window and snowman behind. So very clever to make the arrow a house...love it. You and the Design Team had so many wonderful projects. How very generous you have been with the prizes. How fun to try a Snap or Smash Book. Thanks to everyone for the inspiration all week. You all do a fabulous job! 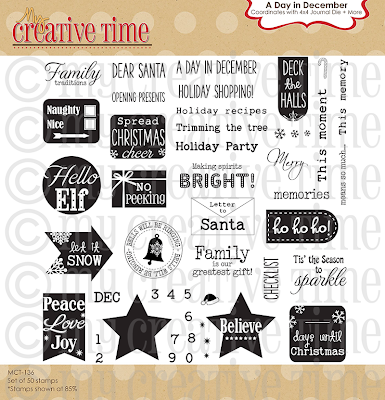 I love all the stamps and dies.... you sure can make a girl go broke with so many cute things to buy! Totally loving the treat window - what a great idea! Beautiful projects Emma and the DT!! Your products are amazing and I love how your design team have used the new product!! I so need to learn how to do that cool puffy snow! Wow Miss Emma, your projects are awesome! Loving those square dies!!! I'm sad to see this come to an end, but know what a busy time this is as well as life just being busy. You and your DT did a fabulous job!! And what a way to end this, with these fun give a ways, thanks for the chance to win!! Love your projects and what the DT have done! Great inspiration...I needed that! Love the way you've used the products, esp. the arrow die for the house!! Love all of your projects Emma! I have to say the tag is my favorite! So clever using the arrow die to make a house! Love it! Emma ~ well I think that little nugget purse ~ that is what I thought it looked like the first time I saw it ~ looks so BEAUITUFL! I LOVE that tinsel and of course all MCT products! Then that snowman card is seriously ADORABLE!! OMG! I am going to LOVE these new dies! Okay last but not least that tag! OMG using that arrow die as a how ~ BRILLIANT! Plus all the details! All week you have blown my mind along with all the DT's projects! I LOVE the music for the videos too and this has been so FUN! THANK YOU! I also want to win the prizes ~ EEK! Wow, these projects are fantastic. I just love everyone's projects! You and your DT are so talented! So funny you turned the arrow into the little house,that's what I had in mind to do when I saw this die set. I hope to be able to order this release soon. Amazing projects!! Such talent...and love the inspiration! How did you keep the candy in place? I watched the video, but you don't mention it. Would love to make that. Thanks. Hi Miss Angie, I use scor-tape OR the red tape! Hope this helps my friend! Beautiful projects...Absolutely love your tag and that stamp set... Happy holidays. 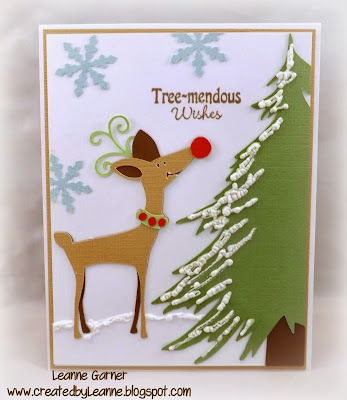 I just discovered your dies, stamps, blog, and channel and I am in love! Love your product and ideas. I am a fan! Hi Emma, Wow I love your projects and the tag is just beautiful, thanks for sharing and thanks for the awesome giveaways!! Love how you made the card into an ornament. Great projects sweetie!!! Your oh so adorable cards are incredible. 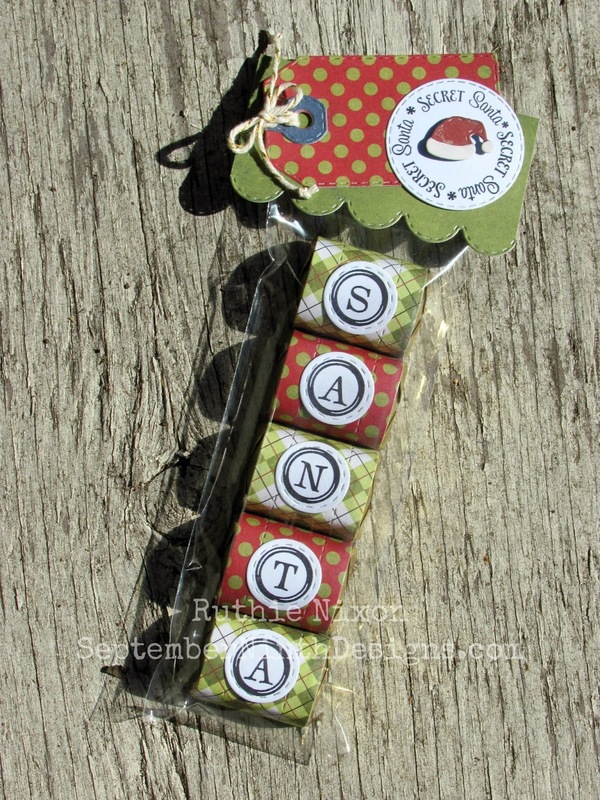 Love the stamped snowman & candy card. Wow, you and your DT did an amazing job as always! Oh Emma..you girls know how to keep us on the edge of our seats! The inspiration this week has been AMAZING! You all rocked! Your projects are fabulous! I love the square stitched goody die that you used for the treat and then for the card....super fun idea's! I absolutely ADORE the tag! The papers, the cute scene and fun sentiment...over to top-cute!!! Wow, I am loving this square stitched goodie die. How fun. Awesome as ever. Super cute projects. Awesome projects! Love all the new dies! Love how you made the house. Oh boy, oh boy, so much inspiration, and I NEED IT! So thank you for that. All the DT's projects are super. Terrific ideas! TFS. Love all of the projects! So very cute! The prizes are really awesome! Would LOVE to win one (wink, wink)! Love them all, makes me want to get to crafting! I love love love it!!!!! I enjoy your videos and projects!!!!! Love..... Kênia. 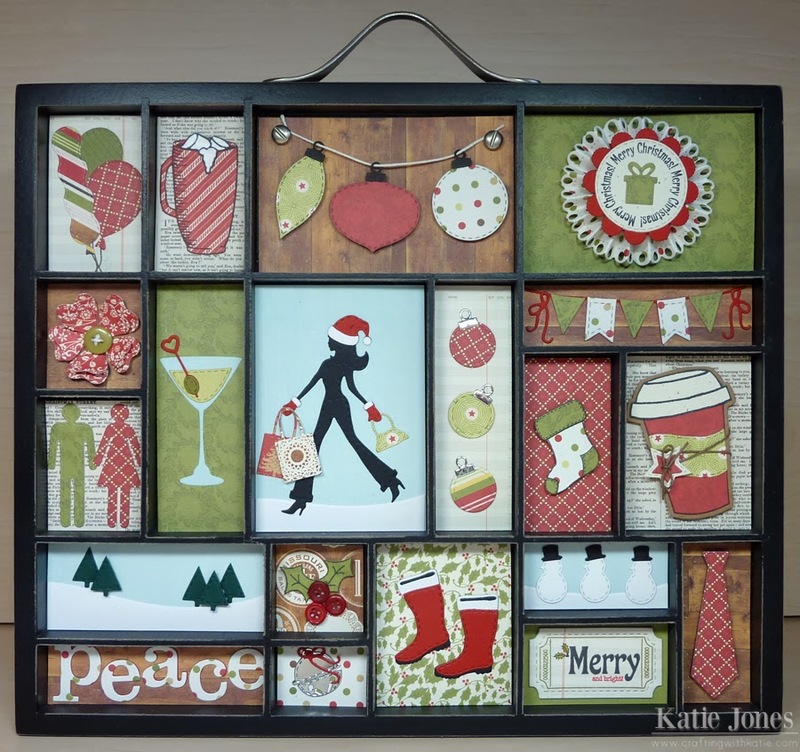 Great projects, I just love all of your fun creations!